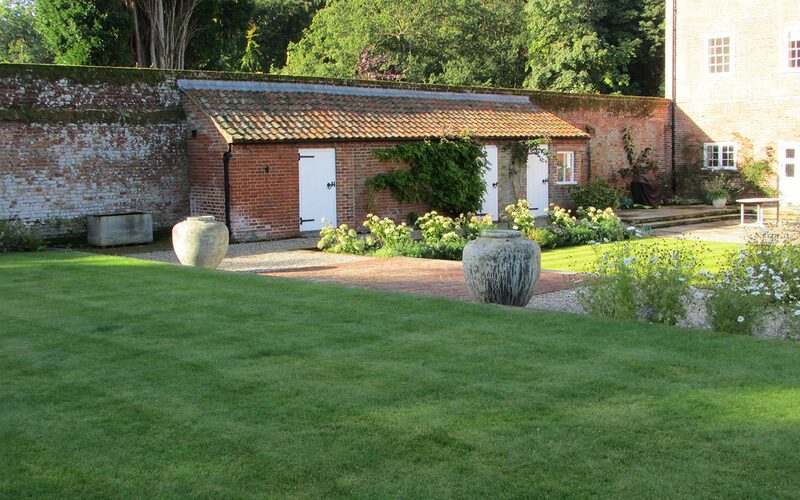 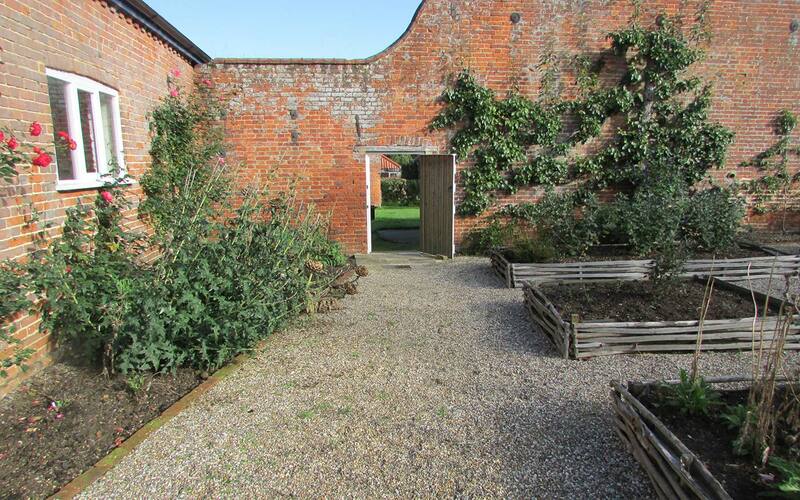 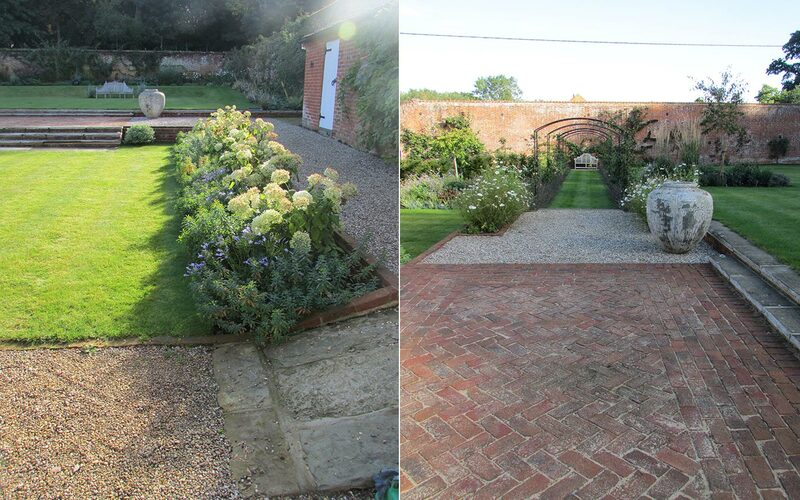 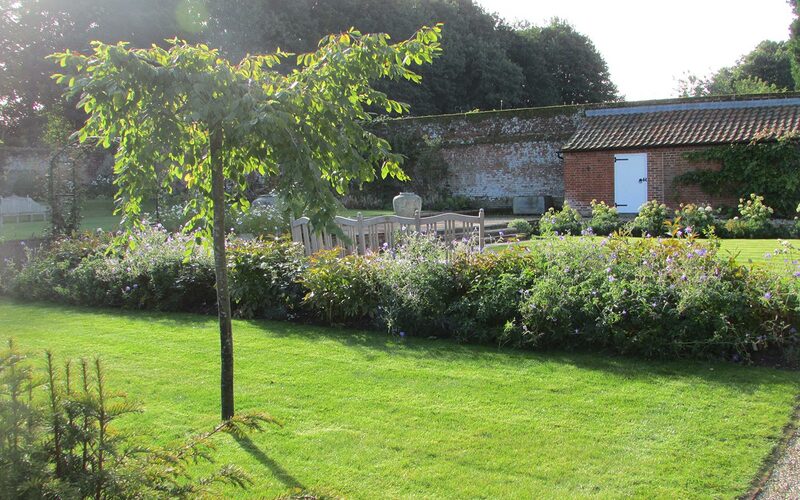 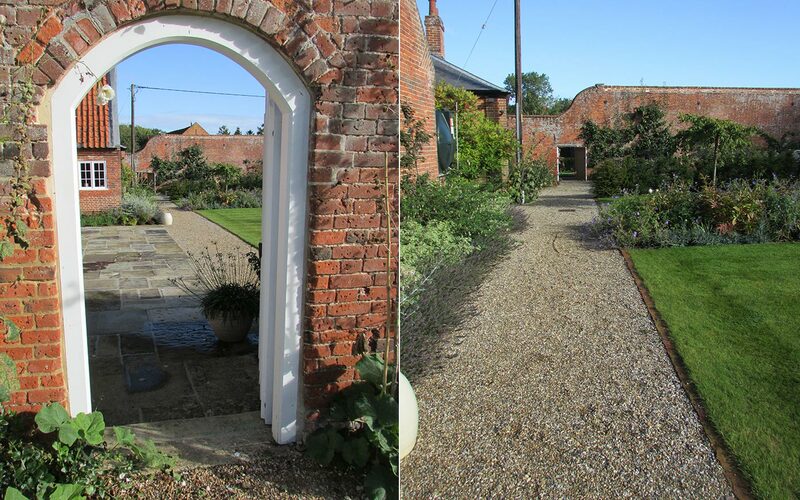 The main ‘gardened’ area for this project is contained in a large walled enclosure on the east side of the C18 house. 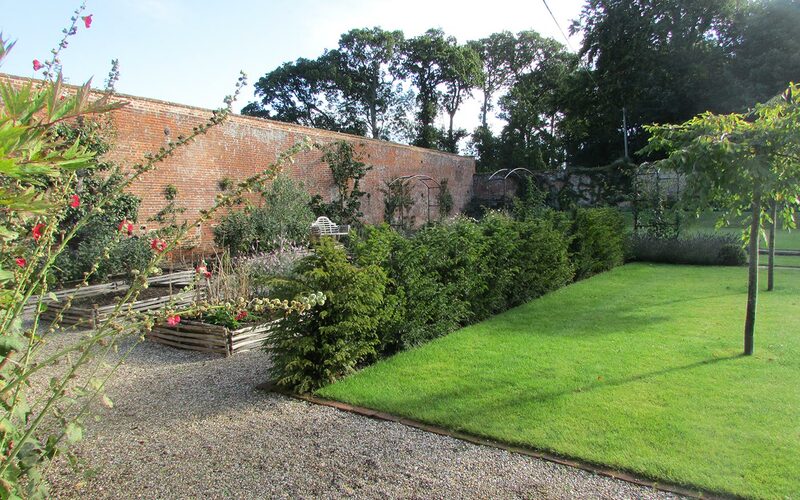 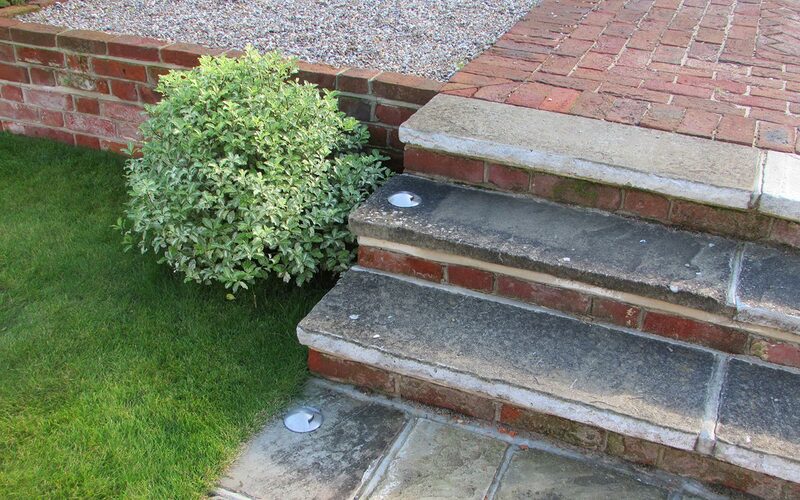 Following a sensitive refurbishment programme, the new owners were keen to create a gardened area more relevant and practical for them. 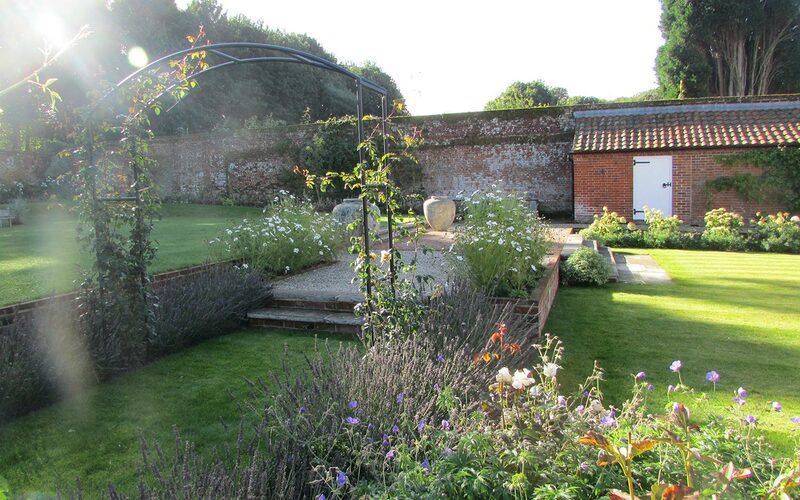 The garden layout was simplified and scaled according to the space, with generously planted beds, open lawns, lavender edged paths, rose arches, grass terraces, steps and good lighting. 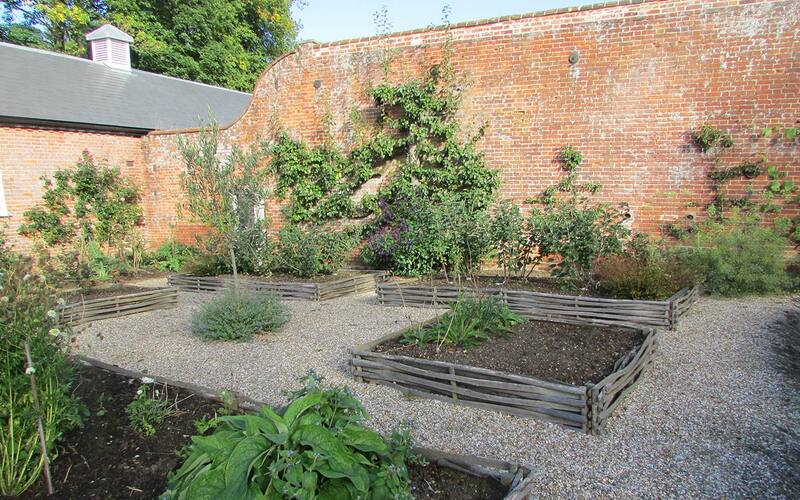 Productivity was retained in a small part of the garden with a new potager for vegetables, salads and cutting flowers. 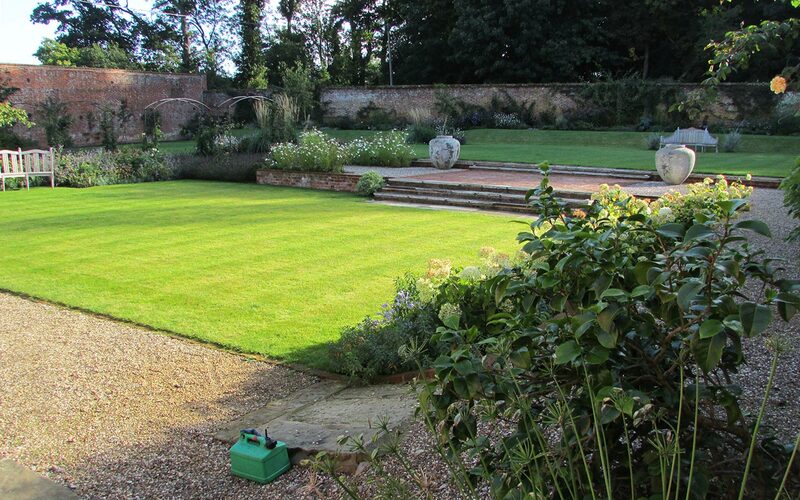 In essence, this garden is romantic, elegant and understated, with the ‘gardened’ part of the site providing a distinct contrast to the wistful parkland setting and landscape beyond.